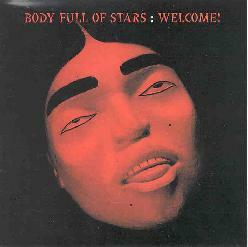 Body Full Of Stars - "Welcome" / Terri~B - "Wrap Me In Your Skin"
Under the Body Full Of Stars logo on the back of the CD cover it says "aka The Rhythm Methodists". No question that these folks have rhythm. That's what this music is all about. On "Welcome", Body Full Of Stars returns with more of their soulful rocking songs. The band is, once again, Tim Jones on vocals and guitar, Martin Holder on lead guitar, Terri B on backing vocals, Paddi Addison on drums, Yazuko Fukuoka on Hammond Organ, Paul Ellis on keyboards, and Mark Dunn on bass, keyboards and vocals. In fact, this appears to be a Dunn led project as he wrote most of the songs and produced the album. This is far and away from spacerock folks but if you enjoy well crafted songs with great vocals then there's plenty here for you. The songs are very well written and most of them stuck to me upon the first listen. The strongest tunes are the soulful funky songs. Tim Jones has a distinct voice that I'm sure I'd recognize anywhere, though Mark Dunn handles much of the lead vocals this time around. And he sounds a lot like Richard Sinclair which should spark your interest if any of you spacers also happen to be Canterbury fans. The music is well played by this tight band and Holder's guitar licks are gorgeously tasteful and sometimes shred without you even realizing he just blazed a trail of licks. 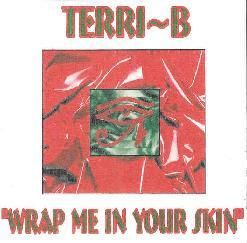 Vocalist Terri B takes front and center stage on her own album, "Wrap Me In Your Skin". This is even further from the space realm being a collection of sultry torch styled tunes. But Terri is without question one of the best female vocalists I've heard all year. I think I'd vote her and Tombstone Valentine's Richelle Toombs as 1999's best. The music is played by multi-instrumentalist Terri on keyboards, programming, percussion, autoharp, and flute, joined by members of the Rabbits Hat/Body Full Of Stars stable including Tim Jones on guitars, Martin Holder on guitar, Steve Ellis on keyboards, Spook on saxophone, Rob Kirtley on bass, and Norm Emerson and Steve Robson on drums and percussion. The disc starts on the dreamy spacey side with "The Spell", an intro bit that contrasts with the rest of the disc. This leads into "Ephemeral Fire", which will make you feel like you're sitting back in a dark smoky lounge sipping scotch and sodas. And while I never thought I be praising the merits of someone's rendition of the classic American tune "Georgia" in Aural Innovations, Terri does a version that would bring tears to Ray Charles' eyes. Much of the rest of the album consists of melodic progressive rock numbers that back Terri's vocals with equally gorgeous music. Between the Rabbit's Hat, Body Full Of Stars, solo work, and running Stone Premonitions, Terri and Tim are busy folks and are producing some good music. For more information you can email Stone Premonitions at terrib@stoneprem.freeserve.co.uk.